Being a client-centric organization, we are engaged in offering a distinct collection of Rhodamine Dyes. Offered rhodamine dyes are used as laser dyes and fluo- rescent markers for labeling. The offered rhodamine dyes are available in different packaging options according to the precise needs of customers. These rhodamine dyes are thoroughly checked on numerous predefined standards of the industry. Product C.I. Constitution C.I. No. Alliance Organics Llp., established in the year 2010, is one of the leading manufacturers, exporters, wholesalers and suppliers of a wide range of the premium quality of Industrial Dyes and Colors. The product range offered by us is inclusive of Synthetic Food Colors, Solvent Dyes and Inkjet Dyes. For processing the offered colors and dyes as per the industry laid standards, the latest and cutting-edge machinery are used. Owing to their rich attributes such as compositional accuracy, high purity and longer shelf life, these colors and dyes are highly appreciated among our customers. 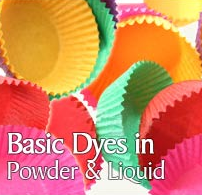 The offered colors are dyes are used in chemical, textile and food processing industries. With the aid of our state-of-the art technology and experienced professionals, we have been able to offer our customers with high quality products. Timely delivery, competitive pricing and ethical business policies, have helped us in attaining a commendable position in the hearts as well as in this domain. Indian Subcontinent, Europe, USA, South East Asia, East Asia and Middle East, are some of the countries where we export our product range.